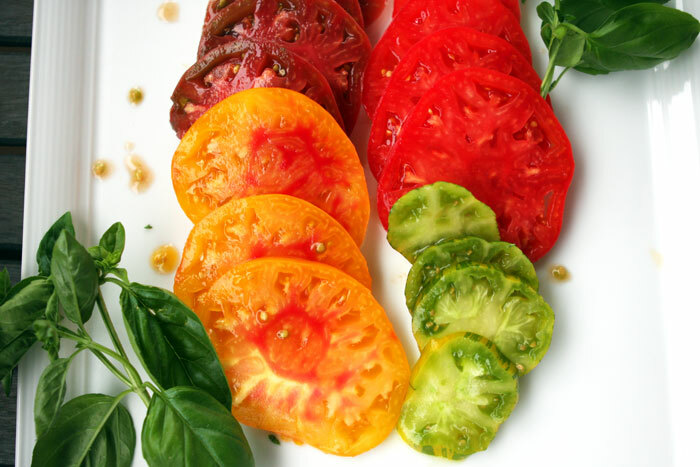 Every summer during my childhood, my family grew Jersey tomatoes in the backyard. They were so flavorful, my grandma used to bite into them like an apple. I remember the juicy pulp would drip down her chin, and she'd walk around with an errant seed on her face for the rest of the day. It's impossible to find that kind of summer goodness at the grocery store, even in California. My garden has room for one tiny tomato plant, so I have to make due with the ones at the farmer's market. It's not the end of the world. They're almost as good. Close enough. 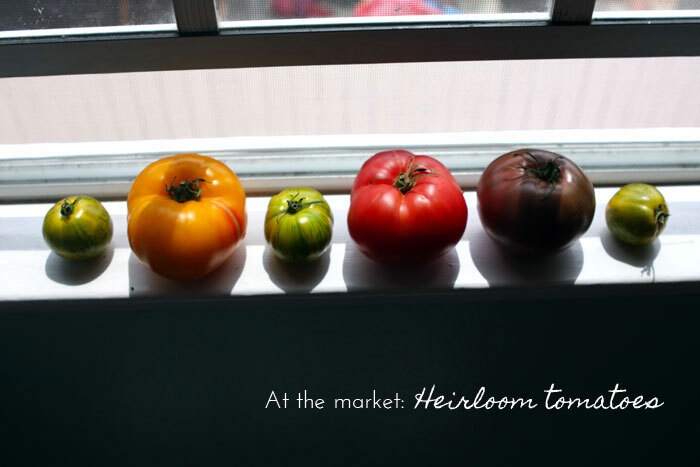 This weekend, I picked up an assortment of heirloom tomatoes in a rainbow of colors. Aren't they gorgeous? 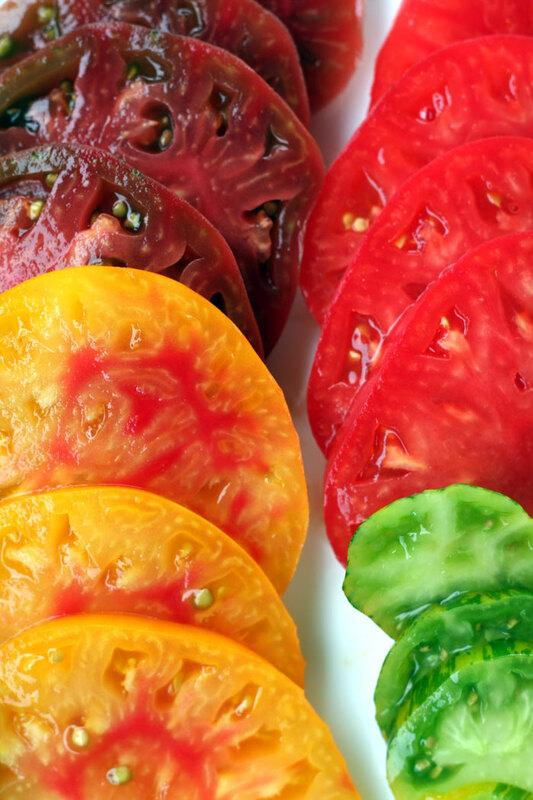 At my family home, we sliced tomatoes up and topped them with minced onions, salt and pepper. I also love them on toasted bread with lots of Kosher salt and mayo. 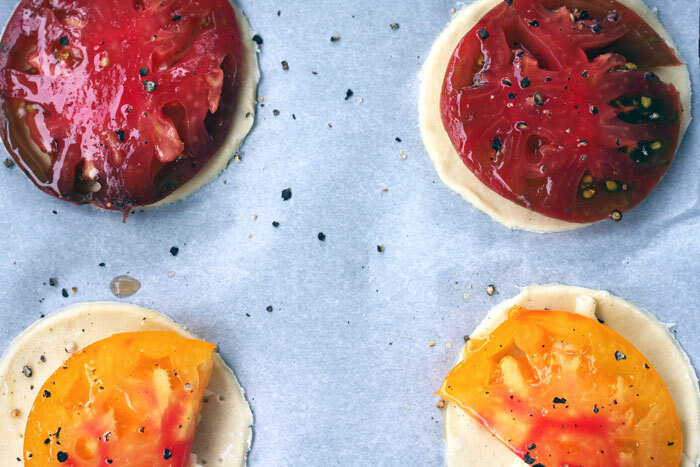 This time around, I made tomato tartlets. You should try them: They're like mini-pizzas, and I can see making them for a party appetizer or for a picnic. You basically roll out some puff pastry and cut them into rounds (use a cup or glass!) and then place them on a baking sheet. Sprinkle the dough with sharp cheddar, top with a slice of tomato, brush with olive oil and season with pepper. Then put them in the oven for 25-30 minutes. 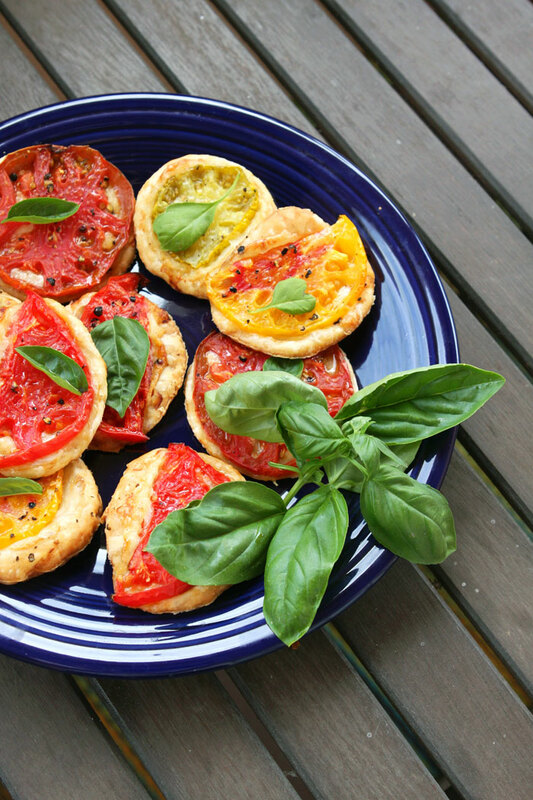 When the tartlets are done, garnish with basil. They can be served warm or at room temperature. Just be careful though, you'll be tempted to eat them all in one sitting. Though I think Grandma would approve. Even better with thinly spread mustard on the pastry dough! this looks amazing! The next time you are home (in NJ) we (Annette included) need to sit in someone's kitchen, cooking, eating and catching up for a day! I love cooking with my sister. She's actually the real talent in our family. I would love to do this with you guys.